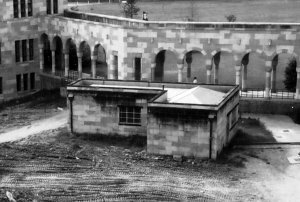 In 1936 Hugh Webster was appointed to a lectureship jointly funded by UQ, the Qld Cancer Trust and the Brisbane and South Coast Hospitals Board with the aim of setting up a plant for the production of radioactive radon gas to be used in cancer therapy. Webster had completed his PhD at Cambridge under the supervision of Chadwick, and had narrowly missed out on discovering the neutron. The radon gas that resulted from the radioactive decay of a radium sample was captured and sealed into small lengths of gold tube which could be safely sent out to be placed against the skin of a patient. During WW II, in anticipation of Japanese air raids, special bomb-proof containers were made to safely store the radium samples. 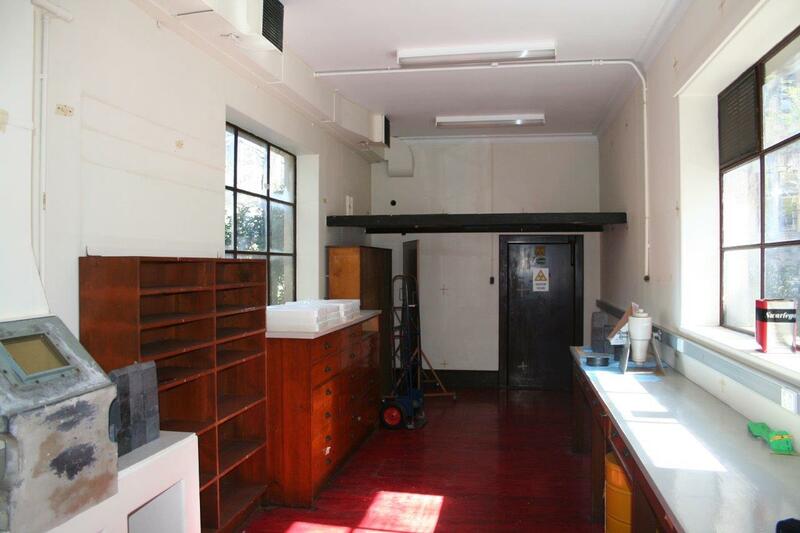 This work started while the Physics Department was still at Gardens Point, but continued at St Lucia in a specially constructed lead-lined laboratory next to the Parnell Building. Eventually, better ways of irradiating tumours were developed, and the process was closed down. Eventually the special building was turned into a folly for the Alumni Garden. Donald Robertson collaborated with Webster on a textbook used by several generations of medical students as well as the radon work, and later went on to do important work on ultraviolet light and skin cancer.